Joint efforts between the Cockburn Libraries, Azelia Ley Homestead Museum, Cockburn Historical Society, and volunteer helpers has seen the photographic, video, oral history and Cockburn Soundings collections digitised over the years, and all are now available on this website under Media. Research and writing on this site was done by Leah Napier, librarian at Spearwood Library, throughout 2017-2018. The Historical Society is based at the Azelia Ley Homestead Museum in Manning Park. Contact information for the creators of Cockburn History. Interpretive signage has been placed throughout the Cockburn district to give historical context to street names, parks, and more. 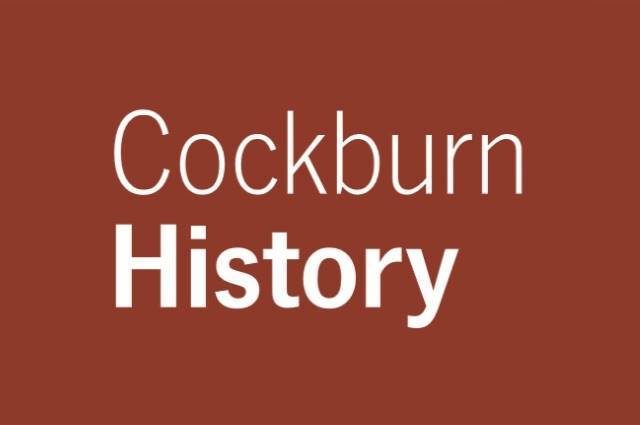 Conceived as an update and expansion on the 1978 publication "Cockburn: the Making of a Community", this website was developed by librarian Leah Napier.